Honestly offspring’s of Adam & Eve, Muslims develop their Islamic-ethics from the sacred book Al-Quran-e-Kareem and Hadith shareef (sayings of the Noble Prophet), while Quran-e-Kareem encloses more than a few commands and Muhammad’s (Ummatee) followers must act upon. The Hadith shareef presents Muhammad صَلَّی اللہُ تَعَالٰی عَلَیْہِ وَاٰلِہٖ وَسَلَّمَ as the perfect human, whom Muslim-Ummah must imitate in all esteems. Muhammad صَلَّی اللہُ تَعَالٰی عَلَیْہِ وَاٰلِہٖ وَسَلَّمَ was revealed upon the Ummah as a mortal-being, appointed by Gracious Almighty Allah (God) to teach the word of Allah (God) and lead a model life, as the best “Model” for mankind in virtues and perfection. The beloved Prophet صَلَّی اللہُ تَعَالٰی عَلَیْہِ وَاٰلِہٖ وَسَلَّمَ is living evidence, of what man can be and of what he can achieve in the realm of excellence and virtues. Muslim believers look at the whole thing in a different way and morality comes from the beloved Prophet’s actions and good is whatever He exercised. Morality does not decide the Prophet’s actions; however His actions decide and outline morality. The acts of the beloved Prophet صَلَّی اللہُ تَعَالٰی عَلَیْہِ وَاٰلِہٖ وَسَلَّمَ are not conventional acts but are Gracious Almighty Allah’s own acts endowed, guided and permitted by Gracious Almighty Allah عَزَّوَجَلَّ. It was for this approach and by this reason that beloved Prophet Muhammad’s sentiments became the beliefs of Islam while his personal lifestyles and habits became moral essentials; Gracious Almighty Allah’s directives for all disciples in all ages and places to follow. Islam is a complete way of life, and ethics is one of the keystones of Islam. Ethics is one of the essential sources of a nation’s power, just as immorality is one of the leading causes of a nation’s failure. Islam has established some all-purpose essential rights for humankind as a whole, which are to be perceived in all situations. To endorse these rights, Islam has delivered not only legal safety measure, but also a very operational moral system. Therefore, whatever leads to the prosperity of the individual or the society and does not face any sayings of the religion is ethically good in Islam, and whatever is harmful is ethically bad. Well-known of its significance in a vigorous society, Islam supports ethics and substances that lead to it, and positions in the way of dishonesty and substances that lead to it. The administrative principle for the conduct of a Muslim is (Virtuous Deeds) and this term covers all deeds, not only deeds of worship. The Protector and Evaluator of all deeds is Gracious Almighty Allah (God) Himself. The most essential characteristics of a Muslim are virtues and modesty and a Muslims should be modest with the Creator Gracious Almighty Allah (God) and also with all His Creations. A Muslim should not be unproductive or devoted to the temporary desires of this world. While record people let the material world to fill their hearts, Muslims should keep Allah (God) in their hearts and the substantial world in their influence. Instead of being devoted to the Pullman and the work and the credential and the bank figures, all these possessions become tools to mark us better societies. Ethics in Islam lectures every feature of a Muslim’s life, from greetings to comprehensive relations. It is collective in its scope and in its applicability’s, whereas morality rules in selfish needs, arrogance and evil behaviors. Muslim-Ummah must not only be ethical, they should also command virtues and not only abstain from immoral but must also outlaw them. Furthermore, must not only be ethically strong, but they must also contribute to the ethical condition of the society as a whole. When observing Islamic-ethics, Muslims appreciate Muhammad صَلَّی اللہُ تَعَالٰی عَلَیْہِ وَاٰلِہٖ وَسَلَّمَ as model human-being, the one all mankind should strive to imitate. Along with extra universal virtues, the 5 Pillars of Islam form a core of Islamic-ethics and supports incentives for ethical deeds along with keenness of final judgment is the strongest. Of course, it’s for real, prayer timings service, the domain’s most widespread and the informal to use Islamic prayer times on which you can now depend. This software is designed to provide you with the accurate Salah/prayer timings 5 times a day for the entire realm. The service is entirely configurable, with the dynamic features of prayer timings, alarms, Hijri year and date along with features you could fantasy. It is known as the most sophisticated and perfect service for obtaining prayer timings and Qiblah directions, no problem where ever you are situated. It’s classy yet easy and suitable interface is created to guarantee that you are kept informed with the prayer timings. If you want you can download our Prayer Times Application, alarms and alerts to prompt you and اِنْ شَآءَ اللہ عَزَّوَجَلَّ you’ll never be able to fail a prayer again. We all are well aware that magnet compass is indecent and cannot be reliable for obtaining the course of Qiblah? It is obvious that the magnetic ground changes and does not opinion to the correct direction. Prayer Timing for mobiles Apps demonstrates and shows you a precise course of the Qiblah based accordingly to the exact North as well as the virtual direction from the up-to-date location according to the Sun and the Moon. Via your phone compass, we can analyze the precise course to the Qiblah. All these services can also be shared with your friends and family members easily. Prayer timings available for more than six million cities of the world. Completely Free! 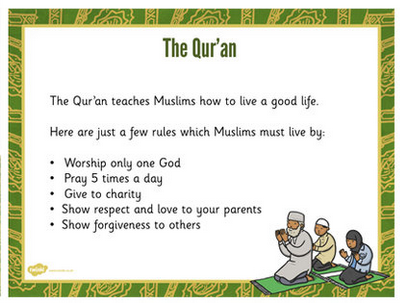 Quran is a star house of knowledge and wisdom containing references, related to knowledge and its results. This obviously indicates the great importance on knowledge and its acquirement at all stages of life. In its intellectual wisdom, there are 2 types of Knowledge or education, one which is educated in Madrasa, schools, academies and institution of higher education called (the knowledge of the books), in the advanced order. For an untrained-man as well as for the majority of the population this is what institutes the knowledge and it is believed to be enough to fulfill our physical seek and desire in this behalf. However, there is yet another branch of knowledge, which is skilled and achieved directly or straight through the divine support, requiring neither the educational institutes, nor skilled teachers and degree holders. This is the mystical or heavenly region of knowledge, which in Quranic terms is known as the “Knowledge of the Hidden” or (Eilmay-Ghayeeb), constituting one of the essential principles of Islamic faith. In detail, the faith and unfaith in the Hidden “Ghayeeb” is the differentiating spot of an individual being a Muslim or a Pagan. This is the office of knowledge, Super-human in nature beating the human intelligence and dominant over all other knowledge, in any other field of human activity, challenging all methods of conveying and getting education and knowledge. This is basically an emblem of Heavenly Grace presented upon the chosen servants of Gracious Almighty Allah, alike tender blissful rain showered upon the hearts and souls of the esteemed inheritors on earth. However, this does not mean that Gracious Almighty Allah restricts and retains the Knowledge of Hidden exclusively to Himself and does not disclose any part of it to any other person. These marvels have been verified at different places in the Holy Quran. In the verses of the Holy Quran it is clear that Gracious Almighty Allah bestowed the Knowledge of the Hidden upon His chosen Ones, but unfortunately, most people do not know this and contrarily, refuse to believe it, without realizing the consequences. These religious souls at times disclosed this Marvelous bestowment in order to influence the people and clear their suspicions and diverting them on the right track of religious belief and Faith. The Hidden Knowledge was also bestowed upon the noble Prophet, the most revealing and surpassing miracle given to the dearest Prophet of Gracious Almighty. More or less, one lack and twenty four thousand Apostles were elevated, at different ages of time with specific knowledge of the Hidden realm. However the Knowledge of Hidden bestowed upon the noble Prophet was boundless in space and scale with, Hidden secrets the Holy Prophet learned thru the knowledge bestowed upon him by the Grace of Gracious Almighty Allah. The undisputed point remains that Gracious Almighty Allah granted the Hidden Knowledge to the noble Prophet and thru Him to “Auliya Allah” Friends of Allah. If someone denies and suspects the genuineness of this Divine Truth, he is certainly guilty of falsehood and declining the prominence of Divine Favor. An individual if convicted as a (Foul mouth), is worthy of being disqualified from the position and rank of Muslim-hood. The eminence of a true Muslim is that he admits and believes each and every command of Gracious Almighty Allah and deeds upon it ungrudgingly and completely and encourages others to do so. Respecting the throne of the beloved Prophet is an essential part of a Muslim’s faith! Darbaar “Throne of Pre-eminences” of the holy Prophet is a (Grand Darbaar), surpassing the dignity of worldly Rajahs and crowned heads. It is an action of misbehavior and misdemeanor to even utter loud words in His Grand presence; such an act reasons the loss of all other virtuous deeds of a Believer, deprived of the Heavenly Grace. The companions of the holy Prophet used to sit in his company in due respect holding their breaths and not making any movements to disturb the self-esteem of the gathering. They would only utter courteous phrases like: Dear Prophet of Gracious Almighty Allah! May well, my parents be sacrificed at the feet of your self-respect. Every question positioned to them, their answer used to be, (Gracious Almighty Allah and his Dearest Prophet knows better). Progenies of Adam and Eve, countless Praises be upon Gracious Almighty Allah for, He has gifted us one of his dearest amongst (approximately) 1, 24000, Forecasters rejoiced upon earth. It is clearly understood there is a Prophet amongst us that knows about tomorrow and everyone knows that our Prophet did know about the future events up to the Day of Judgment and even after. If considered that he knew nothing of the Unseen, how else could he have told us about Hazrat Mehdi (عَـلَيْـهِ الـسَّـلَام), the Dajjal, the return of Hazrat Essa (عَـلَيْـهِ الـسَّـلَام) Jesus, the examination (Question & Answers) of the grave, (pull-e-serath) bridge over hell, which every soul will have to cross, the weighing scale (meezaan), where everyone’s deeds will be weighed up. 4- See book Ja-alhaq, chapter Masa’la Gaib by Mufti Ahmad Yar Khan. 5- Tafsir Tabari under verse 113 of Surah Al-Nisa. Surah Al-Nisa, Verse 113.